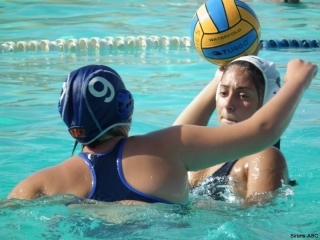 If you like to be in water and you like to play catch with a ball, you’ll love water polo! The Sirens Water Polo Club is looking for girls who want to have fun in the water and learn how to play this great game. Our goals are to establish a fun, supportive and positive environment where female players at all levels can strengthen their skills and enjoy the competition. We have a great group of coaches that are very dedicated and very passionate about our sport. The goal of the program is for every team member to achieve their highest potential in the sport of water polo. The Club participates in major national and internal competitions. Sirens NurseryWater Polo is open to all interested players.